Discuss your options for replacing missing teeth with Dr. Liska during a free implant consultation. Dr. Liska uses the most current methods of restoration and advanced technology to provide you with the best options for replacing missing teeth. Traditionally, the preferred method of replacing missing teeth has been by the use of dental bridges, partial dentures or full dentures. However, these options are by no means a perfect solution. Dental bridges have to be supported by the surrounding teeth, which are prepared by cutting down their healthy tooth structure. And with dentures, patients lose 90% of natural chewing power and will eventually experience bone density loss in the jaw. Dental implants, on the other hand, are long-lasting and natural-looking. They can be used to replace a single tooth, multiple teeth or all of your teeth. The cost for dental implants is quite competitive with dental bridges, yet the benefits of implants are clear in comparison. Dr. Liska gives a Free Dental Implant Consultation to determine whether dental implants are right for you. During this consultation, he will determine what the best treatment plan is for your individual situation, and review various options. 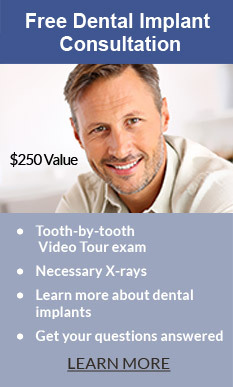 He can answer any of your questions about the benefits of receiving dental implants. A dental bridge can be used to replace a single missing tooth, however, as mentioned above, the adjacent teeth need to be altered to support the bridge. A better solution is a dental implant whenever possible because of the obvious benefits of strength and its ability to prevent bone loss. Thanks to advances in modern technology and the types of materials used for creating dental implants, it is possible for nearly anyone to receive this state-of-the-art procedure. Often, Dr. Liska can complete the entire procedure of extracting a tooth and replacing it with an implant and temporary tooth in just one visit. The titanium implant has a biocompatible quality that allows it to integrate with the jawbone.  After the implant has fully healed, Dr. Liska will fit a custom designed permanent crown on top of the implant. Multiple missing teeth can be replaced with either an implant-supported bridge or single implants for every missing tooth. With an implant-supported bridge, Dr. Liska can fasten a four to six-unit bridge on top of multiple dental implants, providing the necessary support for adequate bite strength and durability while chewing. Generally, a fixed bridge supported by implants has the equivalent chewing power of natural teeth, feels comfortable in your mouth and it can be cared for the same as your natural teeth. There are several options for replacing all your teeth, whether missing, damaged or needing extraction. Dr. Liska can help you decide which is best for you depending on your particular situation. You can walk in to our office with missing teeth or teeth needing to be extracted and walk back out the same day with a brand new set of teeth! Your new teeth will be permanently attached to dental implants but can be removed for maintenance by Dr. Liska. With four or more implants supporting each arch of teeth, you will regain the strength and stability of real teeth, enabling you to eat the foods you want. Dr. Liska does the entire implant placement and fitting of your new teeth right in the comfort of his office. Learn More about Teeth in One Day. Dr. Liska can create a beautiful new set of dentures supported by dental implants. Implant-supported Snap-in Dentures are the solution to loose, uncomfortable dentures that slip and force you to limit your food choices. You can snap the denture in and out when you want for cleaning and sleeping. Snap-in dentures can be a more affordable solution, although not as strong as our Teeth in One Day permanent teeth. Learn More about Snap-in Dentures. If you already have dentures but would like the added strength and comfort that implant-supported dentures can give, Dr. Liska can often retrofit your dentures to work with dental implants. He can add anywhere from a couple implants to six to support your dentures. The more implants used, the greater the stability.